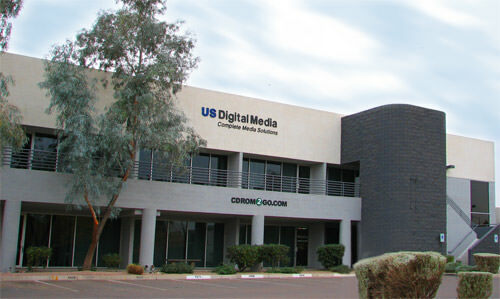 CDROM2GO by US Digital Media is a globally renowned website devoted to CD, DVD, and Blu-ray duplication products, services, and expertise. When it comes to optical media, we are the experts! Our media storage products include a complete line of blank recordable media, which includes CDs, DVDs, Blu-ray, and more. We also carry a complete line of duplication equipment like stand alone duplication towers, disc printers, publishers, recorders, and much more. All our USDM products are professional grade and are 100% satisfaction guaranteed. Unlike other duplication houses, we understand all aspects of discs: from their production, design, function, materials, packaging, and duplication processes, we know what we’re talking about. When it makes more sense to outsource your disc project, we’ll be there for you. We offer professional duplication from hundreds to thousands of pieces per order. We go even further for our customers by offering full service manufacturing for both discs and packaging. Using state of the art equipment, our replication specialists have developed manufacturing processes that ensure the highest quality products with fast turn times. Looking for custom made packaging? We can do that, too! We have the expertise and artistic touch to produce custom mailers, printed jewel case inserts, anything your project may require. Still need more? Ask about our mail fulfillment services. We can mail out thousands of discs every month! In addition to offering you top notch products and services, we also offer our market knowledge, expertise, and experience. We believe that a well-informed customer is a happy customer. We provide a Knowledgebase with topics that are both important and interesting, such as how CDs work, what’s the difference between duplication and replication, all about different packaging or printing options, and so on. We also include a quick reference glossary for your convenience. Our resources include links to sites that connect you to major industry players, technological innovations, software downloads, free templates and labeling software, consumer forums, how-to videos, and more. Check out our blog for more recent news. We are also active on our social media accounts: Facebook, YouTube, and Twitter. Still have questions? Feel free to give us a ring toll free and talk to one of our knowledgeable salespeople. We realize that finding the right solution to your disc needs isn’t easy, that’s why we have a large staff of sales support professionals waiting to assist you in making the right decisions. We value your business greatly and will do our best to honor any requests. Please let us know if we’re missing something; your suggestions are always welcome. You can contact us via email, telephone, or fax. See our contact info below. For information regarding custom USB drive products and services, please visit our sister site: Premium USB. We pride ourselves on more than just expertise and low prices! Our top goal is always customer satisfaction. We realize that every customer has specific needs when it comes to the ordering products and services, which is why our staff has been trained to handle any situation. If an order is not up to par, we will do what we can to make it right. Our staff strives to stay informed about the latest CDR and DVDR Media industry news, trends, and advances. From creative professionals, copywriters, technical staff, and media industry experts, to state-of-the-art production, duplication and printing equipment, we truly live up to the name "Duplication Experts." We have built our reputation on great prices, excellent service and a wealth of industry knowledge. We don't just sell CD and DVD duplication products and services: we provide solutions to our clients' specific needs. To call ourselves the CD and DVD Duplication experts, we aspire to a higher degree of service and industry expertise than our competitors. From project management to responsive customer service, we ensure the high-level of customer care that you depend on. We treat every job as critical. We share your deadlines and we are honored to be a part of the process.